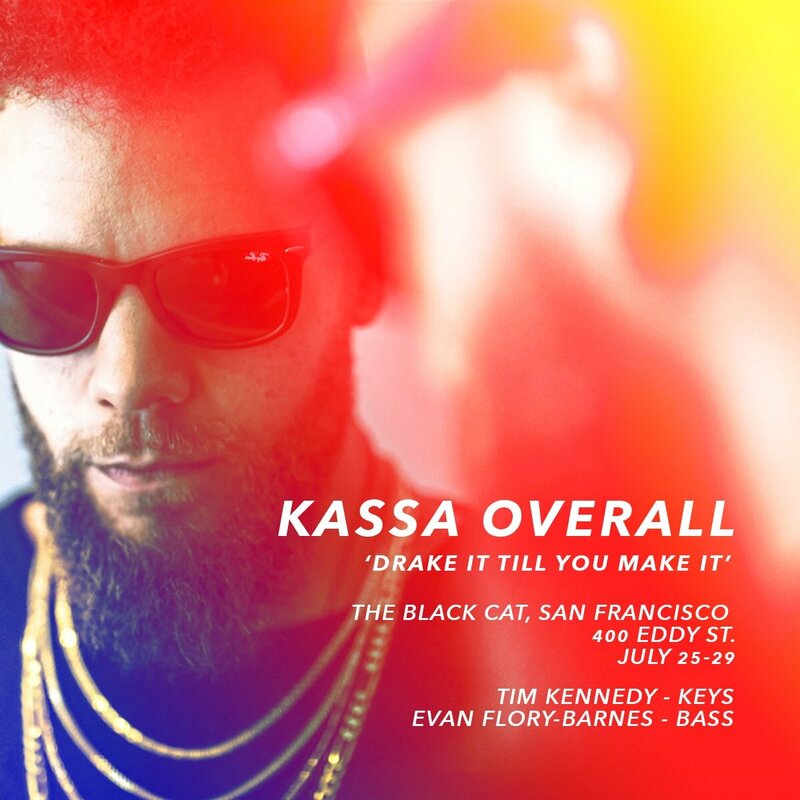 Celebrate Black Cat’s second anniversary in style with NYC Rapper/Producer Kassa Overall feat. Grammy-winning Bassist Evan Flory-Barnes and Tim Kennedy! Tim Kennedy is a shining star in the current Northwest jazz scene. He performs with such acclaimed groups as The Happy Orchestra, The Thomas Marriott band, and his own bands The Tim Kennedy Special Trio and Gravity. Tim also leads and writes for the country rock band Hot Rod and the beloved electro dance band Richie Aldente. He spends his days recording & producing albums for artists out of his studio.